Should Australia Collaborate with Israel to Push Innovation? 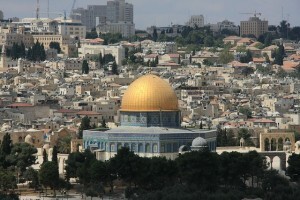 Home » News » Should Australia Collaborate with Israel to Push Innovation? With a population of 8.4 million people, Israel has over 3,000 start-ups and attracts more venture capital per person than any other country in the world. Made famous by the worldwide bestselling book Start-up Nation, Israel’s start-up culture is indeed among the world’s most effervescent. In fact, Israel boasts twice as many start-ups as Australia with a third of the population – hence, what could we learn from the ‘start-up nation’? Assistant Minister for Innovation Wyatt Roy is currently touring Israel to see what Australia can acquire from the country’s start-up culture. Israel has one of the world’s highest concentrations of start-ups in the world and is a global leader in research and development. For example, Israel spends 4% on research and development as a percentage of GDP, according to The World Bank. This is almost double compared to Australia’s research spend of 2.4% of GDP. However, Saul Singer, co-writer of the Start-up Nation, believes the approach to take is country partnership. Could this be what Dr Marshall, chief executive of CSIRO, had in mind when he stated earlier this week that that Australia needed an altered approach to collaboration? Singer believes that if Australia joined forces with Israel it could become the innovation leader in the Asia-Pacific region. He further notes, “I think Australia can become a regional innovation hub, a hub for south-east Asia as well as combining forces with Israel.” Singer has been praised for his promotion on start-ups and his work on Start-Up Nation has kick-started a conversation globally about how innovation can change the world. His book alone has sold more than 7 million copies and has become the prototype for governments around the world trying to inspire entrepreneurship. Certainly, Israel has had an immense transformation due to innovation – twenty years ago Israel’s biggest export was oranges, now they are innovation leader. Australia is currently in a similar situation, we are at a pivotal point in embracing technology that could see us become an innovation leader in the future if we take the right steps forward. Wyatt Roy has shared that he is in favour of Australia adopting a similar model to the Israeli approach for spreading government funding for start-ups. In the meantime, it is vital to remember that innovation can start within a business too. Organisations can ask themselves whether their methods are streamlined enough or if there is a better, cheaper, or quicker way of producing a product. This is where investing in research and development and the government can help. 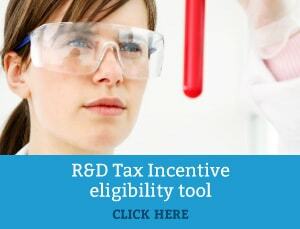 If you are conducting research activities you may be eligible for the government’s R&D Tax Incentive – contact us today to see if you qualify.